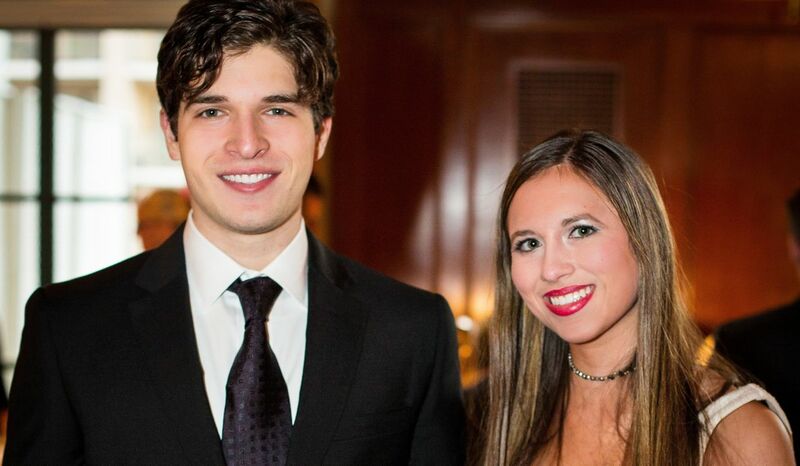 The National Meningitis Association gala (NMA) Give Kids a Shot, held recently at the New York Athletic Club, attracted people from all over the nation and from all walks of life - just as meningitis affects people from all walks of life. This fifth annual event was once again both an emotion-filled evening and a stellar success in aiding the fight against meningitis, a potentially vaccine-preventable disease. Held in elegant ballrooms of the historic New York Athletic Club overlooking Central Park, hundreds of New York's movers and shakers turned out to support the cause and to congratulate meningitis survivor and Para Olympic Gold Medalist Nick Springer, an Honorary Chair along with Ambassador and Mrs. John L. Loeb, Jr. The Ambassador is also known for his work with the FDR Conservancy and the new Four Freedoms Park on Roosevelt Island. I was delighted to have the opportunity to meet Kyle and Samantha Busch. 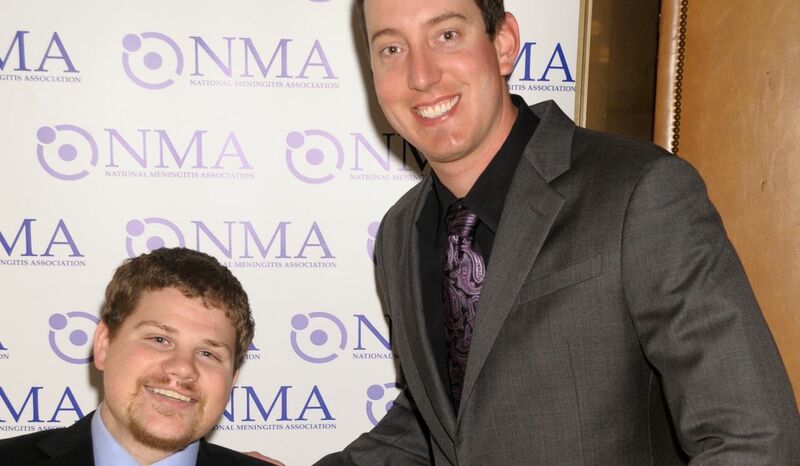 Athletes united: Para Olympic Gold Medalist Nick Springer and NASCAR driver Kyle Busch. Photo: Rob Rich / www.SocietyAllure.com. Guests mingled over cocktails and hors d'oeuvres while poring over the dazzling array of silent auction gifts from sparkling jewels to one-of-a kind fashions - and even a commemorative bottle of vodka with an LED message from supporter Richard Thomas shimmering across the bottle like a Broadway marquee. 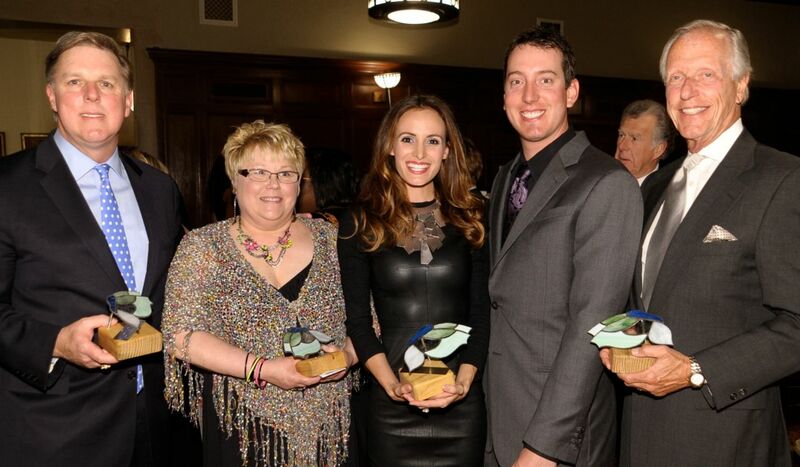 Honorees Senator Jack Hart, Cindy Krejny, Samantha Busch, Kyle Busch, and Dr. William Schaffner. Photo: Rob Rich / www.SocietyAllure.com. 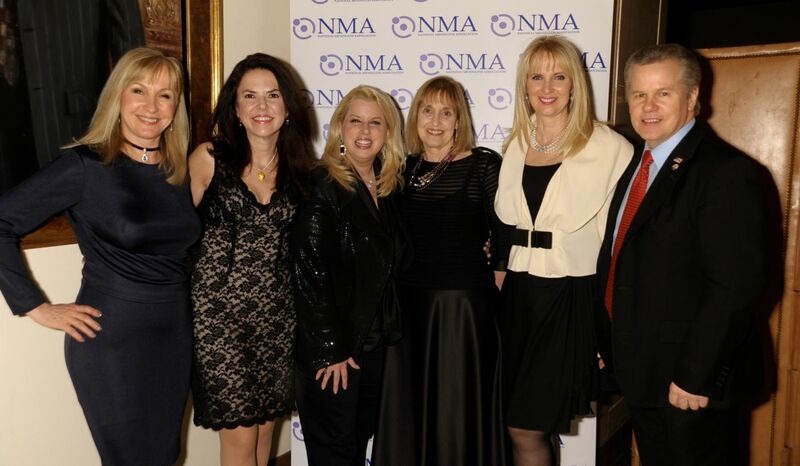 NMA President Lynn Bozof and gala co-chairs Sara Herbert Galloway, Gary Springer and Lenore Cooney swirled through the room greeting friends and introducing this year's honorees: Dr. William Schaffner, Health Achievement Award Honoree for his advocacy of the role of vaccines in protecting individual and community health; Cindy Krejny, Moms on Meningitis Outstanding Service Award for her tireless efforts to educate the public about meningitis and her work with Ohio lawmakers to mandate vaccination for college students; Massachusetts State Senator Jack Hart, who pushed the passage of a mandatory vaccination in his home state, with the Nancy Ford Springer Inspiration Award. The future belongs to young leadership: NMA Teen Health Advocates Justin and Alana Galloway. Photo: Tom Fitzgerald & Pam Deutchman / www.society-in-focus.com. Sara Herbert-Galloway, last year's Honoree and chair person for four years, recalled one year when almost everyone in the room, filled with hundreds of people, were calling friends and loved ones to ask if their children had been vaccinated once they learned and saw the devastating effects of meningococcal meningitis. Herbert-Galloway's teenage children, Justin and Alana Galloway have been NMA's Teen Health Advocate's for three years, helping to raise awareness amongst their teenage peers that there is a vaccine. Sara thanked everyone involved, assuring them that their presence and word of mouth was helping to save countless lives. Sara Herbert Galloway, the author, and the Mayor's Deputy Counsel Norma Abbene. NASCAR record-breaking winner Kyle Busch and his wife and partner Samantha - both young philanthropists - received the Community Leadership Award for the work of their Kyle Busch Foundation in support of programs that aid disabled and disadvantaged children around the country. Barry Klarberg, vice-chair of the gala and founder of Monarch Wealth and Business Management, reminisced that he was Nick's hockey coach when Nick was stricken with meningitis at the age of fourteen. Sara asked Barry to be involved with the NMA in 2007, they since became engaged and continue helping to raise awareness that there is a vaccine. As Barry Klarberg told me afterwards, "It's nice to see that a world-class athlete like Kyle Busch and his wife Samantha provide exposure to the National Meningitis Association and its cause." 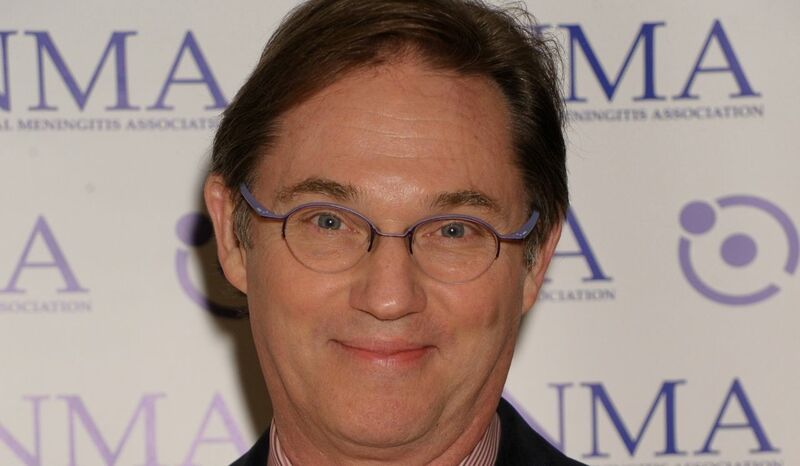 Many of the young leaders only know actor Richard Thomas as one of NMA's strongest supporters. President Lynn Bozof gave moving testimony to the reason everyone was gathered - to prevent this dreaded disease by having pre-teens and teens vaccinated. Well known author and broadcast journalist Rita Cosby, filling in for longtime NMA host actor Richard Thomas, who was filming, kept the evening running smoothly as MC. Unexpectedly, Richard showed up on a break from shooting Law & Order SVU to personally congratulate the honorees and thank all the supporters. and Tomaczek Bednarek. Photo: Photo: Rob Rich / www.SocietyAllure.com. There is nothing worse than losing your child. It is a grief that will never leave you. To then find out that your child didn't need to die, that a simple vaccine could have saved his life, is something no family should endure. I am grateful to everyone who supported the National Meningitis Association at its annual fundraiser, "Give Kids A Shot." The most important word - "vaccinate!" The National Meningitis Association is a non-profit organization founded by parents of children who have died or live with long-term effects from meningococcal disease, also called bacterial meningitis. NMA works to protect families from the potentially devastating effects of this disease by educating the public and medical professionals about the disease and its prevention. The NMA network also provides critical emotional support for families who have been affected by meningococcal disease. Additionally, NMA raises awareness of other preventable diseases and recommended vaccines across the lifespan. Honorary chairs for the event were Ambassador and Mrs. John L. Loeb, Jr. and Para-Olympic Gold Medalist Nick Springer. 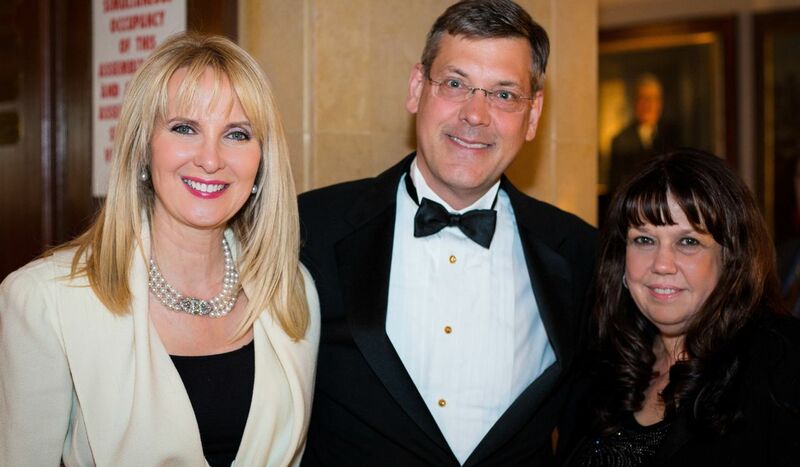 Gala chairs were Lenore Cooney of the Cooney/Waters Group, Sara Herbert-Galloway and Gary Springer of Springer Associates PR. Vice Chairs included Joanna Goldenstein of KPMG, Barry Klarberg of Monarch Business & Wealth Management, Ulrika "Red" Nilsson of Redcircle International, and Heike Vogel of Arent Fox. Chairs of the successful silent auction were Matt Klarberg and Errol Rappaport. Honorary Committee included Susan and Hon. James A. Baker III, Commissioner on Disabilities for the Mayor's Office Victor Calise, Susan Sarandon, Liv Ullman, U.S. Senators from Maine Olympia Snowe and Susan Collins, and a host of Congressional Representatives from across the U.S.
Committee members included the Mayor's Deputy Counsel Norma Abbene, Lynn and Alan Bozof, PTSD expert Lorraine Cancro, Thomas Cook, broadcaster Rita Cosby, Citibank's Ida Liu, entrepreneur Kevin McGovern, newscaster Frank Recchia, April Sandmeyer, Allison Strassberg, and Mr. and Mrs. John Wukovits III. 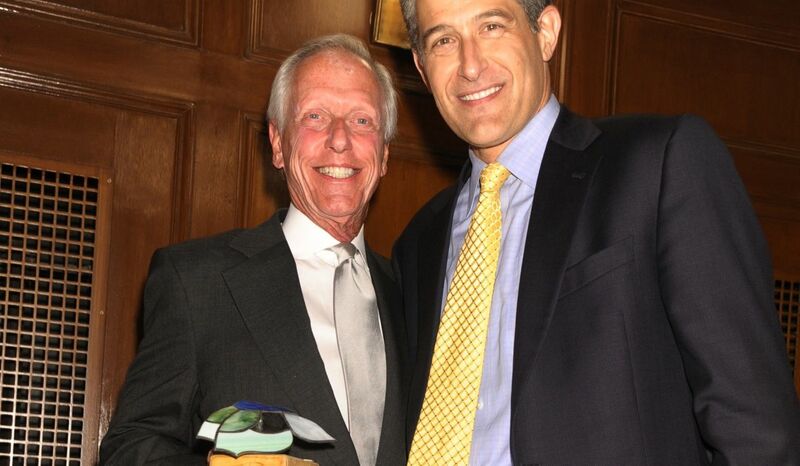 Two dedicated health experts: Dr. William Schaffner and Dr. Richard Besser. Photo: Photo: Rob Rich / www.SocietyAllure.com. The prestigious Medical Committee includes Richard Besser, M.D. of ABC News; Paul Offit M.D. of the Children's Hospital of Philadelphia; Nancy Snyderman, M.D. of NBC News; James C. Turner, M.D., Professor of Internal Medicine at University of Virginia, and Dr. Roger W. Yurt, Chief of Burn Surgery, N.Y. Presbyterian Hospital, Weill Cornell Medical Center. Also attending was Miss Teen USA 2012 Logan West, and teen star of Showtime's "Shameless" Emma Kenney, as well as Bree Michael Warner, star of Nickelodeon's "I Carly," and NMA Teen Ambassadors, brother and sister Justin and Alana Galloway. An Online Charity Buzz Auction featured an extraordinary array of one-of-a-kind experiences, art work and luxury items such as a week for twelve in an elegant Acapulco Cliffside villa, VIP tickets to the Justin Timberlake and Jay Z Concert at Yankee Stadium, exclusive NASCAR Sprint Cup VIP Experience for four, behind-the-scenes tour for four of Good Morning America with ABC News' Dr. Richard Besser, VIP passes to Art Southampton, the premiere international contemporary art fair in the Hamptons, and much more. Last fall I wrote about having learned about meningitis for the first time and my desire to have my teenage son vaccinated against this horrible disease. Since then, meningitis has passed into my own community -- the gay community -- and I received my own vaccine last fall. It makes no sense that anyone should be afflicted with this senseless tragedy that is preventable through inoculation. The gala's theme resonates loudly in my head: Give Kids a Shot!